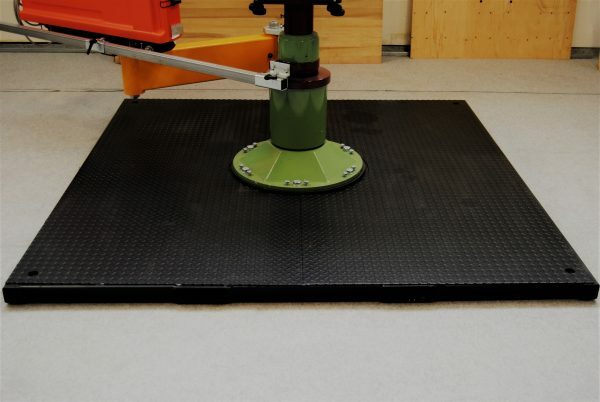 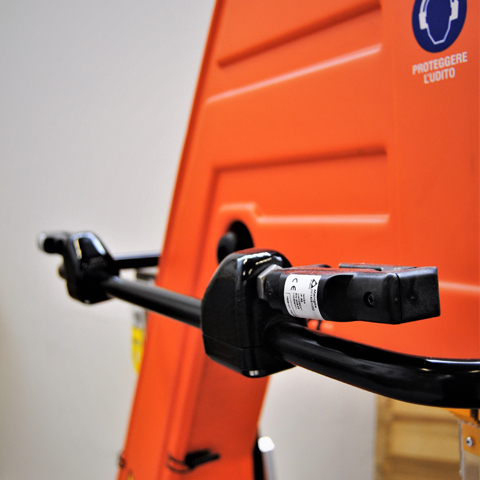 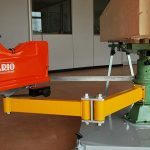 Forklift base – Fixing the column BC800 on the forklift base, it is possible to move SET3000 with a forklift truck, without fastening it on the ground. 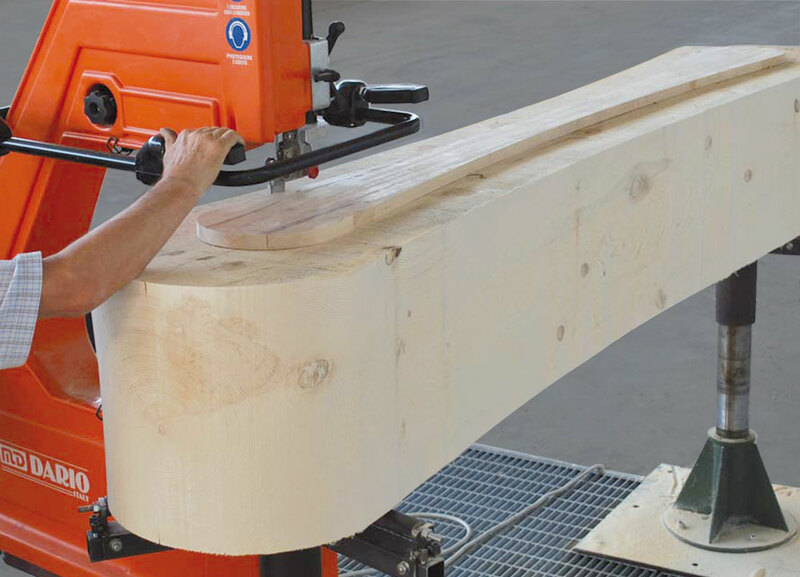 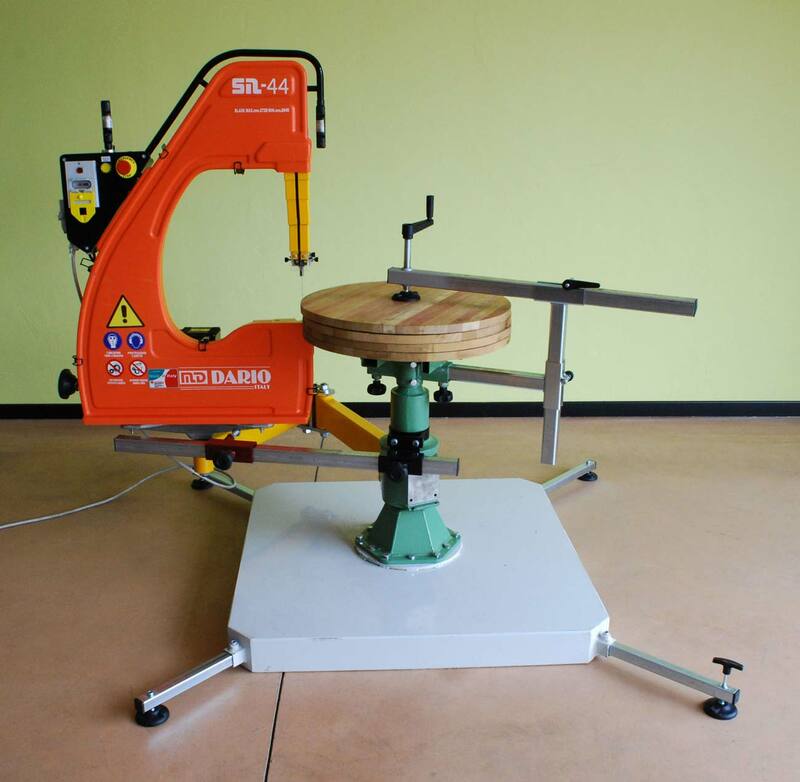 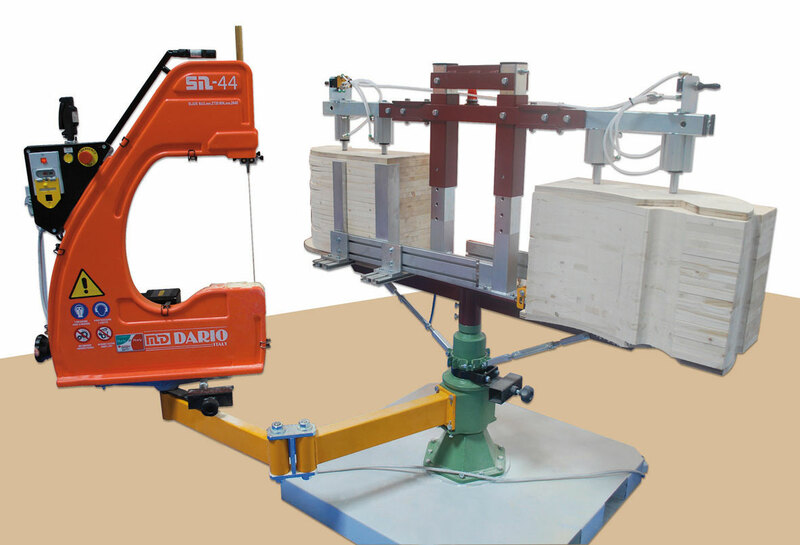 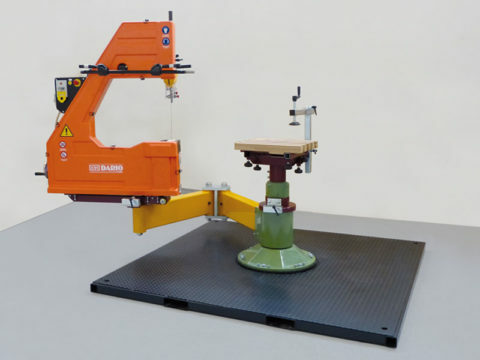 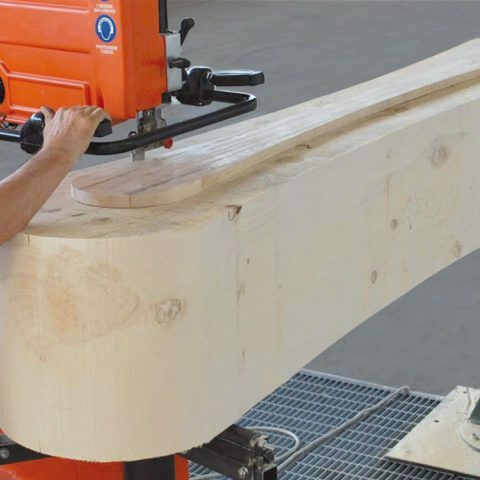 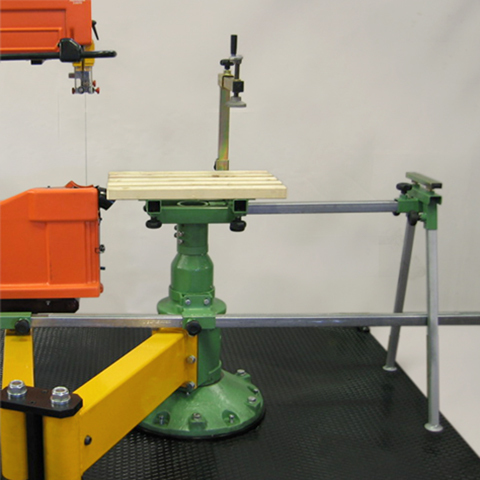 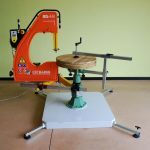 Extended articulated arm –The extended articulated arm BS600EX, reaching an extension of 230 cm allows to cut circumferences with a maximum radius of 215cm.The length of the articulated arm can be customized, according to the dimensions of the piece to work. 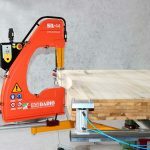 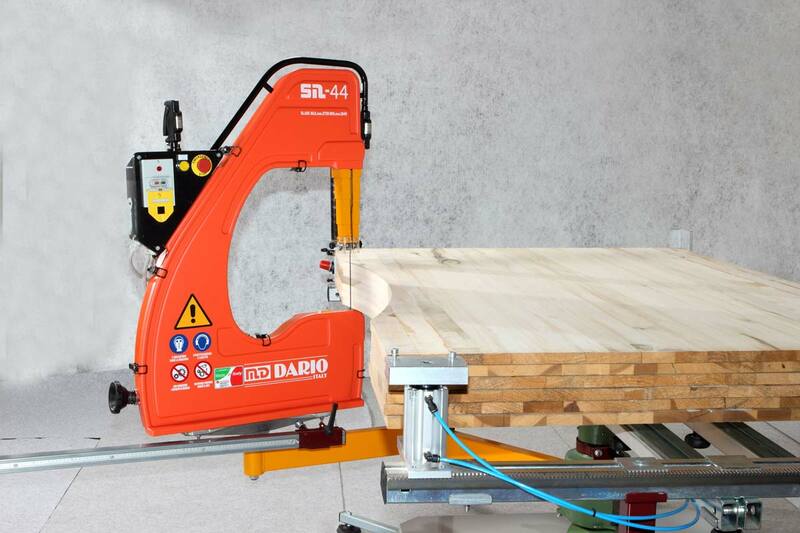 PC 650 – Turning pressure lock – Suggested for the realization of circular shapes, it allows to rotate the bandsaw 360° executing one single cut, without interruptions. 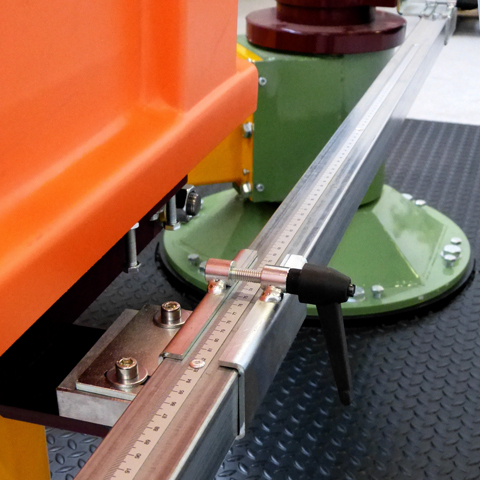 DPC 650 – Double pressure lock – Suggested for the realization of circular shapes of big dimensions. 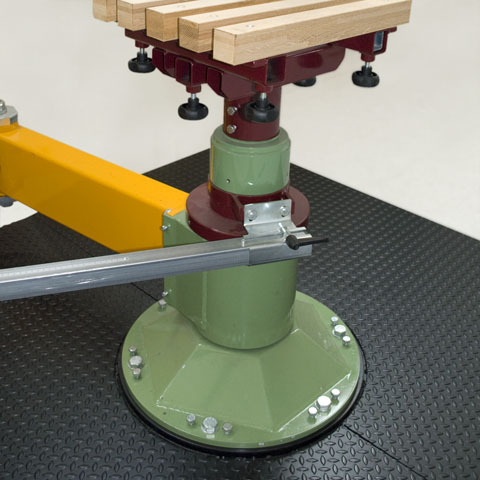 Its structure ensures stability and avoids the tubes to curve. 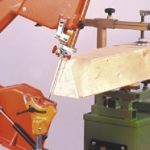 Extra column – It is possible to add to SET3000 an extra column, allowing to fix big dimensions’ pieces that need to be shaped on both sides. 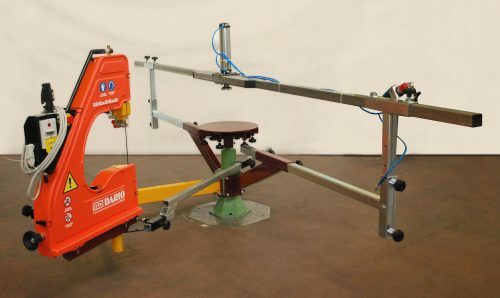 The column enables to rotate 360° the machine, realizing multiple circular and shaped cuttings at the same time. 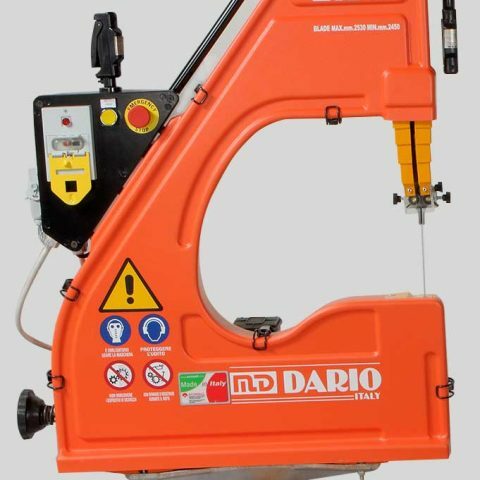 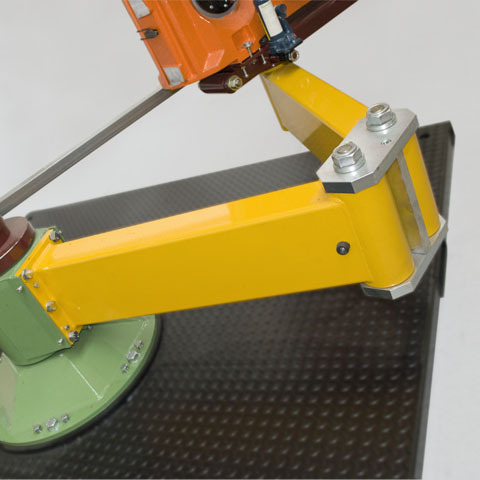 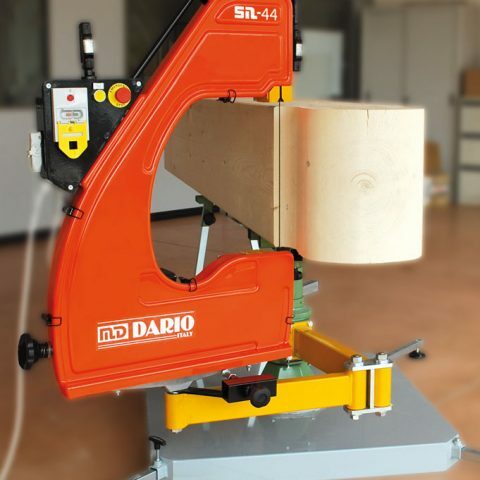 The articulated arm is the main feature of all MD DARIO® machineries. 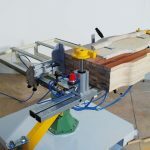 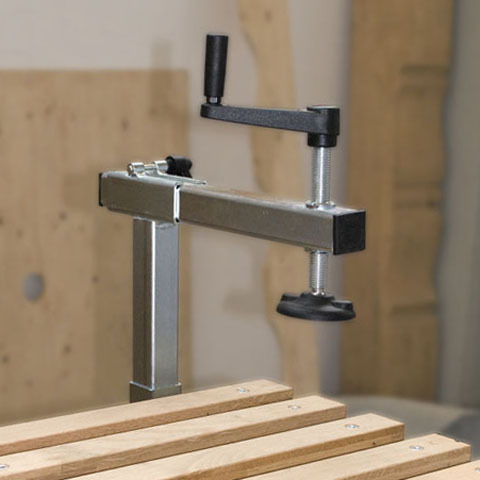 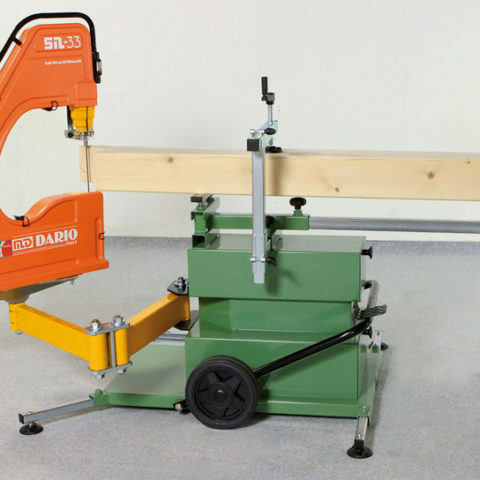 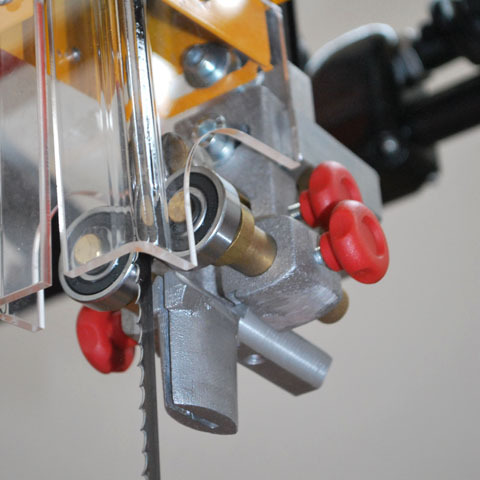 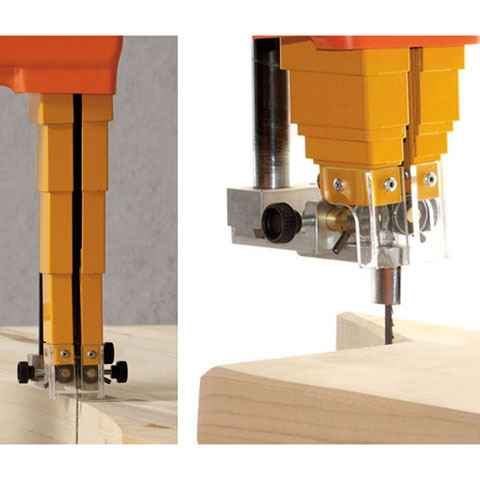 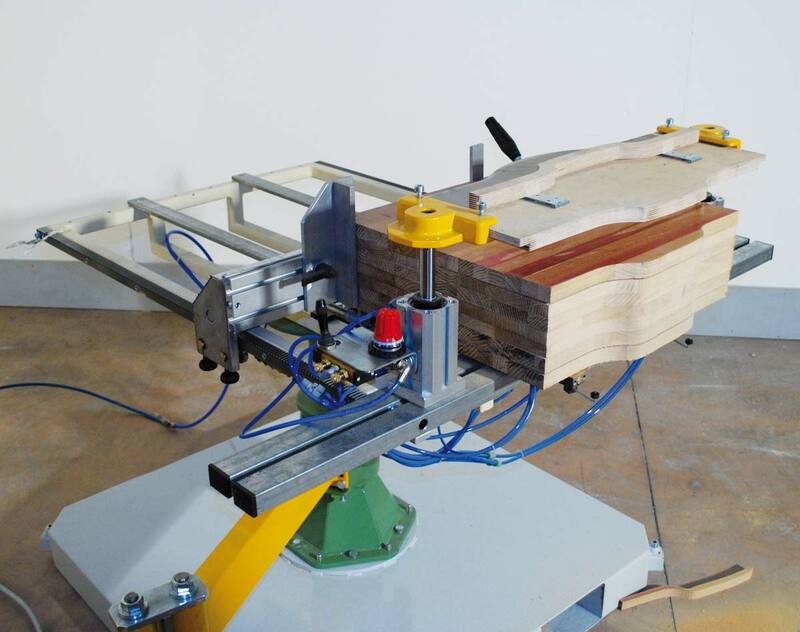 It allows the bandsaw to rotate in every direction.